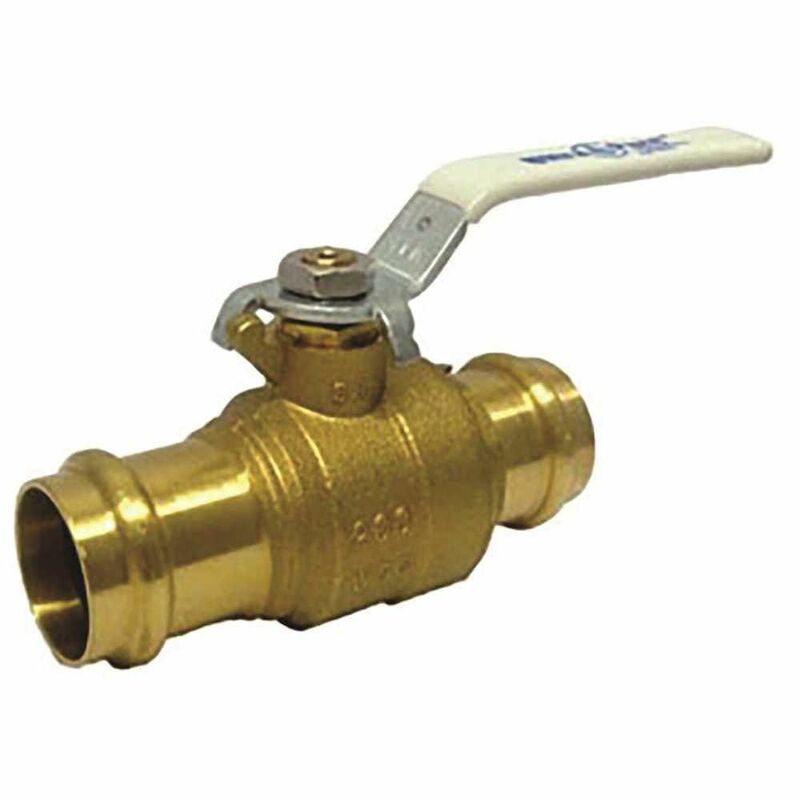 Press Ball Valve 1/2 In, Lf"
"PRESS BALL VALVE 1/2 in, LF"
2-1/2 inch FPT white PVC Molded-in-Place ball valve. Large port allows maximum flow and minimum pressure drop or turbulence. This ball valve is made up of a white PVC body, that is suitable for both schedule 40 and schedule 80 pipe, with a black ABS handle. JAG Plumbing Canada is pleased to distribute the high quality Ball Valves by Boshart Industries to on line customers across North America. 2-1/2 inch Slip compact white PVC Molded-in-Place ball valve. Large port allows maximum flow and minimum pressure drop or turbulence. This ball valve is made up of a white PVC body, that is suitable for both schedule 40 and schedule 80 pipe, with a black ABS handle. JAG Plumbing Canada is pleased to distribute the high quality Ball Valves by Boshart Industries to on line customers across North America. 1/2" NPT Full Port Forged Ball Valve . JAG Plumbing Products strives to bring customers the best products in Canada and make them available on the best online shopping platform: Homedepot.ca - Owned and Operated in Ajax, Ontario, Canada, JAG PLUMBING prides itself on offering Home Depot Customers durable, high quality, non OEM replacement plumbing parts. Press Ball Valve 1/2 In, Lf" "PRESS BALL VALVE 1/2 in, LF"